Windy with sunshine. High near 70F. Winds NNW at 20 to 30 mph. 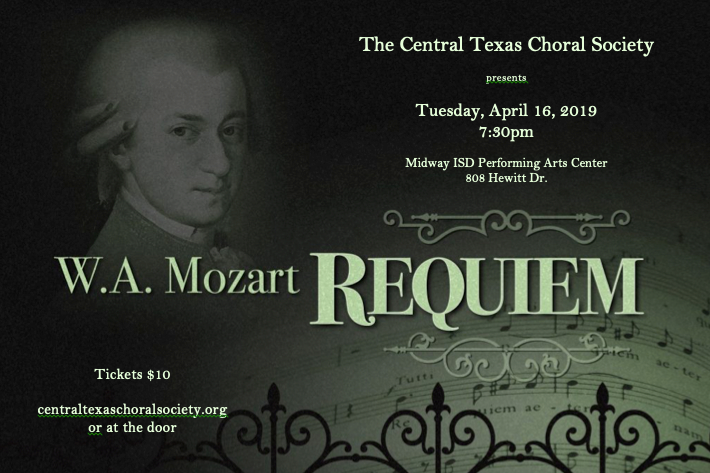 Higher wind gusts possible..
Central Texas Choral Society, Mozart Requiem, 7:30 p.m. April 16, Midway ISD Performing Arts Center, 800 N. Hewitt Drive; $10.